Given the positive shift in cultural attitudes, coupled with increased legalization, one congressman sees full cannabis access by 2022. 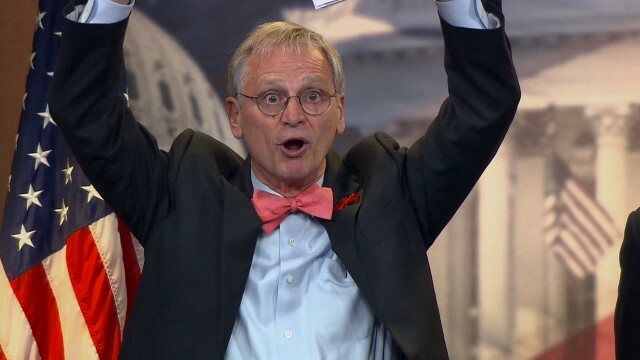 Despite marijuana’s unpopularity within the current administration, U.S. Rep. Earl Blumenauer (D-Ore) believes that medical marijuana access will become a reality for the entire country within the next five years. A Gallup poll taken last October revealed that 60% of Americans were in favor of making cannabis use legal, and over 90% say that adults should be able to legally access cannabis for medical purposes. Given the positive shift in cultural attitudes, coupled with increased legalization, the congressman is certain that we will see a complete shift in nationwide cannabis access and policy by 2022. Blumenauer, a progressive who has served on Oregon’s 3rd congressional district since 1996, is a strong supporter of marijuana reform. He notes that on election day, weed legalization earned more votes than Donald Trump or Hillary Clinton. Frankly, marijuana has gone mainstream. This is gaining traction. It’s my personal assessment that it has come of age politically. In five years, everyone will have access to medical marijuana. In five years, every state will be able to treat cannabis like a commodity. At the present time, medical marijuana is legal in 29 states, while recreational has expanded to nine states. There are currently 13 marijuana-related bills waiting for committee hearings in the House and Senate as bipartisan leadership looks to pass ambitious cannabis legislation never before seen on Capitol Hill. But getting the legislation signed into law by President Trump will most likely be a hurdle. On Sunday, Attorney General Jeff Sessions stated that marijuana distribution in America is controlled by international drug cartels. Ironically, legalizing the drug on the federal level would indeed undermine the very cartels that Sessions seems to be concerned with. Still, Blumenauer remains optimistic about where marijuana reform is headed in the near future. I’m quite confident that we will ultimately be successful working with this administration, despite some confusing signals which have characterized everything from foreign policy to healthcare. This is where the American public wants to go. To do otherwise would be to precipitate yet another clash for an administration bogged down in everything. Besides, the U.S. would only be following North American trends as Canada just recently announced their plans to legalize recreational marijuana throughout the country. In 2009, Mexico decriminalized personal possession for up to five grams and the Senate voted to legalize medical marijuana in December. Changes in federal drug policy may be an obstacle under Trump, but if states can continue to evolve without government intervention, Blumenauer sees a clear and inevitable path to nationwide cannabis access. It’s going to take another two to four years to work this through. [But when it comes to legislative progress] I don’t think they want to pick a fight to be on the wrong side of the American public.